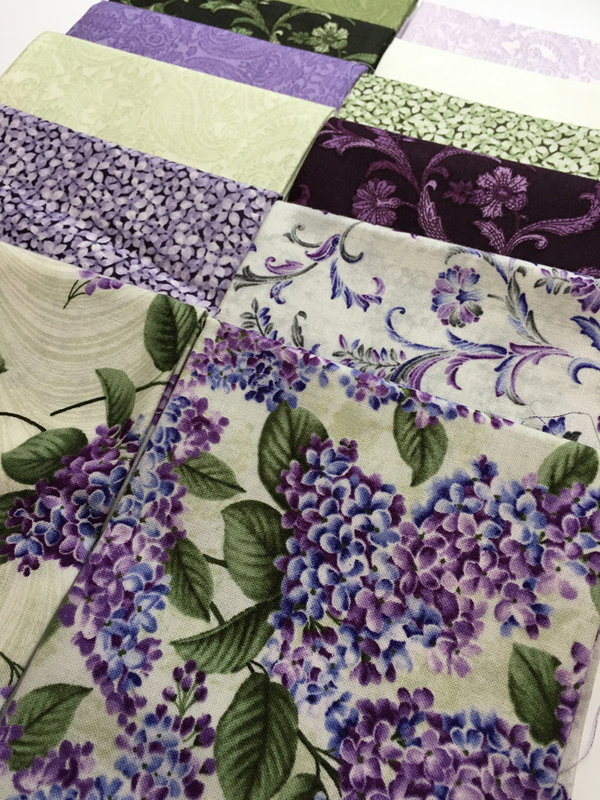 Jackie Robinson's newest collection, Lilacs in Bloom, is lush with gorgeous purples and soft greens--and of course, loads of lilacs! 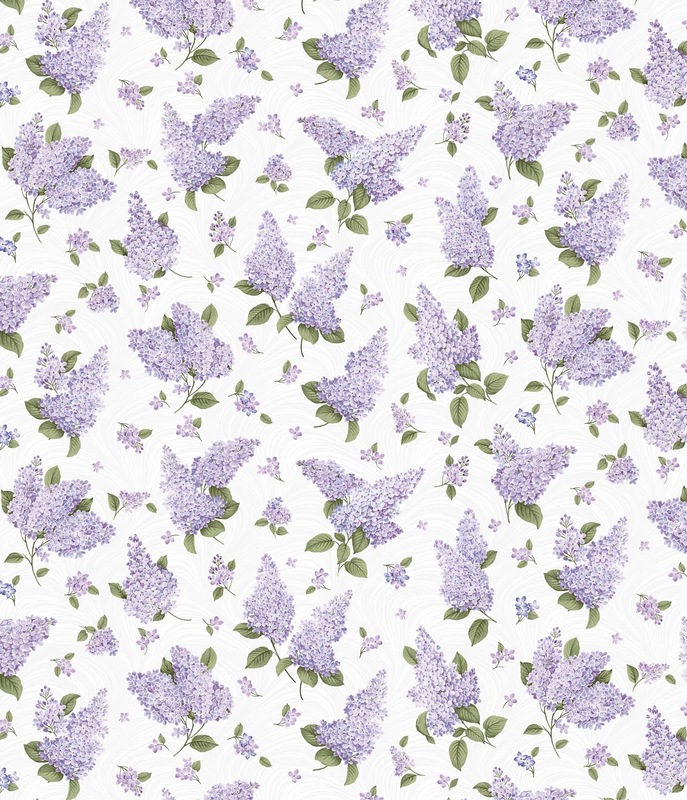 Each delicate lilac petal is intricately detailed for realistic blooms. 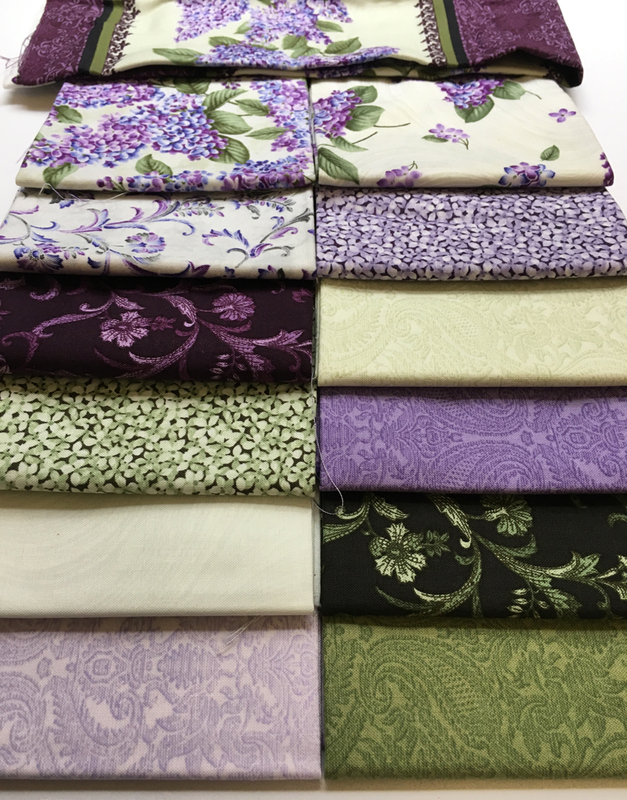 Add in elegant tonals in a variety of shades of purple, green, cream, and gray. Beautiful! What made you choose lilacs? Probably more than any other reason—they’re purple. They’re very pretty and the scent is wonderful--they’ve actually been on my list for a long time. I love how the purple goes with green, as well. I think my favorite is the one called Lilacs and Wave or the Vine Scroll. 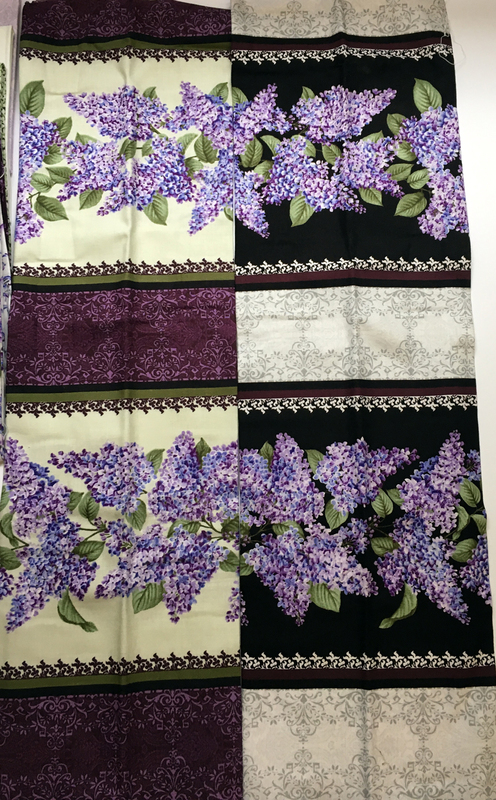 They’re both allover lilac prints but not packed too tightly. 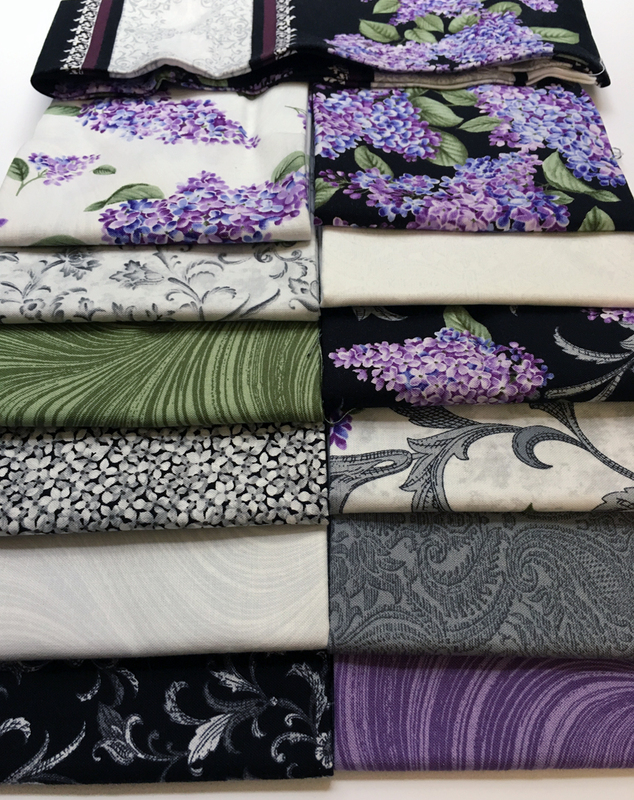 How do you decide what to include in a floral stripe print? I look for something that has the same kind of feel as the flowers we’re working with. 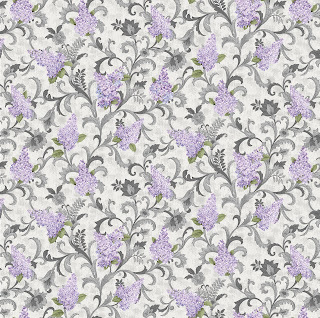 For the lilacs, I chose a damask print, which also became one of the tonals. The little lace effect on the edges adds interest. I often use the 2-1/2” wide non-floral section of the stripe for binding, so I pay particular attention to the colors there with binding options in mind. 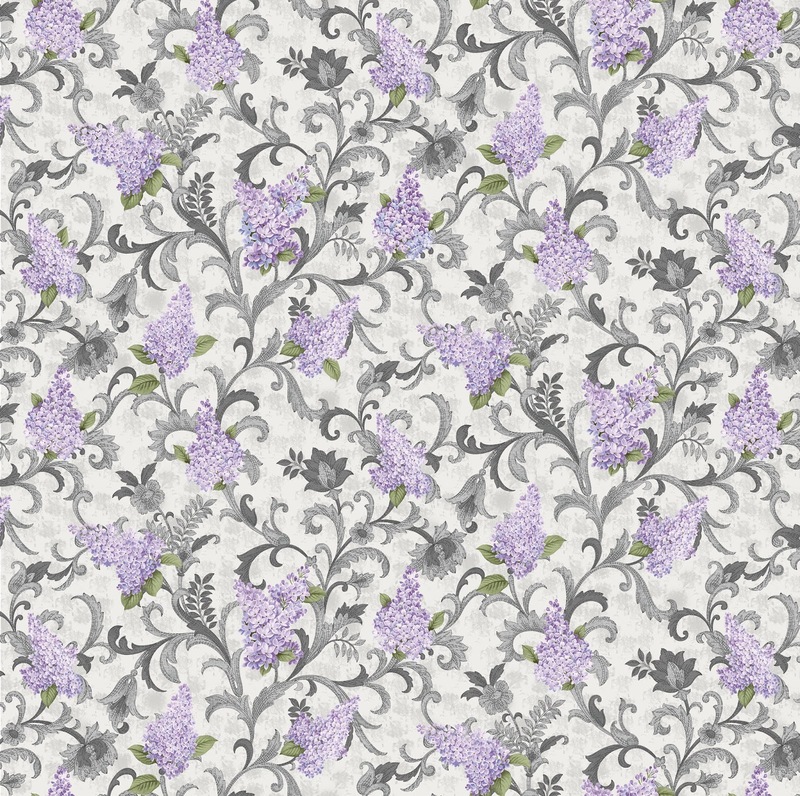 Lilacs in Bloom includes a few grays—that’s a new color choice for you, isn’t it? Gray is big—it adds a bit of modern color to the collection. My kids’ generation lives in a world decorated with gray, so I thought it was time to add it in. 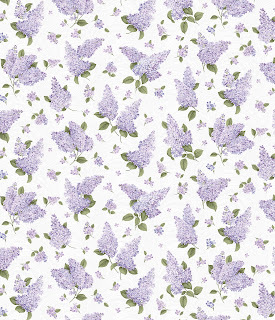 Click here to see the entire Lilacs in Bloom collection. Click here to preview Jackie's lilac quilt patterns, which we'll be featuring here later this week.